Estacada has made a habit of living on the edge this season — five out of their seven wins were by single-digits during the regular year. The Rangers, however, went with a different theme to start their postseason run. 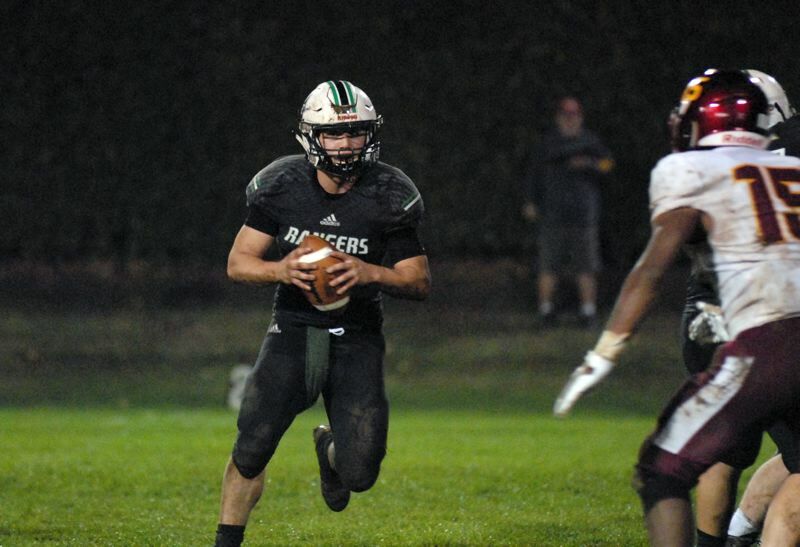 Estacada led from start to finish and were up by as many as 30 points in the second half as they blew out Ontario 42-19 on Friday night in the first round of the 4A playoffs. "We've been in so many tight games this season. It was looking like this was was going to be close for a while there, but then we pulled away and that was huge," Estacada head coach Andy Mott said. "It was a big night in the town, so it was cool to get a big win in front of our home crowd." Estacada (8-1) tests itself on the road in the second round Friday, Nov. 9, at Seaside (8-1), which has topped the state rankings at different points in the season. Gabriel Martinez took the opening kickoff 70 yards down to the Ontario 30-yard line to put the Rangers in business. Two plays later, Estacada ran a perfectly executed option play where QB Nick Keller ran down the line and, at the last second, made a great pitch to Logan Stamm. Stamm made a man miss, ran down the sideline and then dove into the pylon for the 16-yard touchdown. "I just count on my brothers to block well for me and then I do what I can when I see open space," Stamm said. "This win felt amazing. We knew we had the talent to do that." Look for extended coverage in the Nov. 8 print edition.